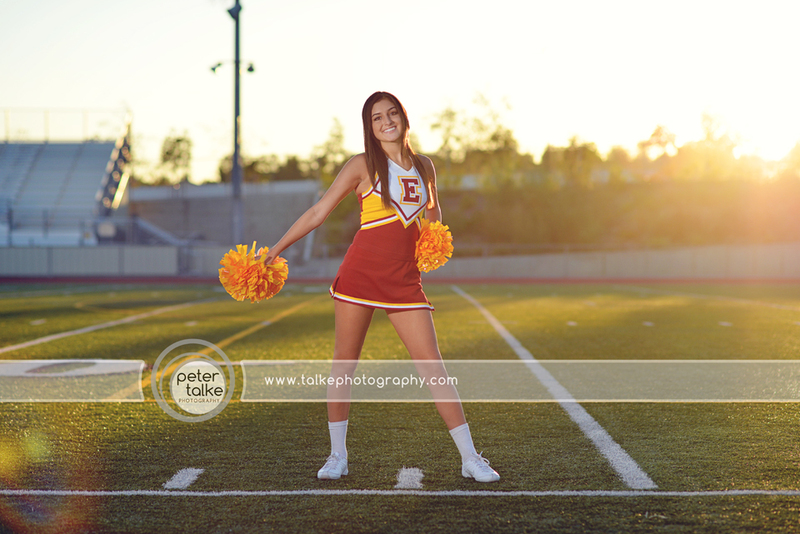 Introducing our amazing Ambassador from the Esperanza Cheer & Song team….Ashley! She is the Captain of the team and ready to lead the Aztecs this year! This session was at Shapell Stadium during sunset. The sun was setting and creating an amazing glow in the background. You were awesome Ashley! Good luck to Ashley and the Aztecs this year!